His first birthday is certainly a milestone and this is the perfect gift for celebrating this occasion. 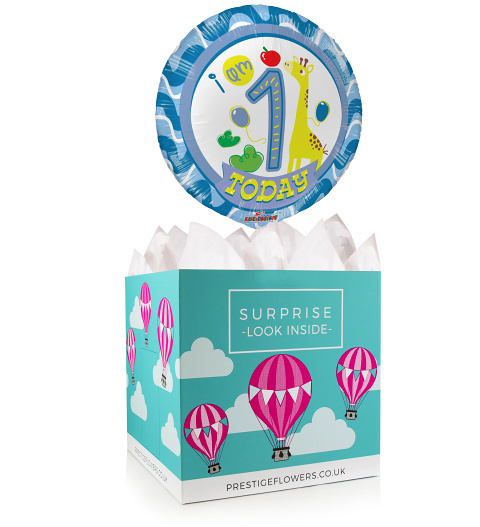 We have chosen a special 18-inch helium balloon and gift box. We also offer a selection of optional extras like cuddly bears and we are always happy to include your personal message.